Croatian Air Force Day (Dan Hrvatskog ratnog zrakoplovstva) is celebrated annually on December 12. 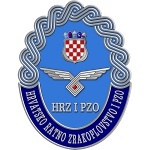 It commemorates the establishment of the Croatian Air Force in its modern form in December 1991. The Croatian Air Force and Air Defense is one of the three main branches of the Armed Forces of the Republic of Croatia. Its history began during World War I, when Croatian military pilots served in the air force of the Austrian-Hungarian Empire. During WWII, there was the Air Force of the Independent State of Croatia, a puppet state founded by the Axis Powers. Croatian Air Force in its current form was officially established on December 12, 1991, when Croatia was struggling to achieve independence from Yugoslavia. At first, it had only small transport and agricultural planes. Nevertheless, operations of the Croatian War of Independence that involved the Croatian Air Force resulted in Croatian victory. Currently, the Croatian Air Force and Air Defense has about 2,000 active personnel and over 60 aircraft (including combat, aerial, trainer aircraft and helicopters). Croatian Air Force Day, also known as the Day of Croatian Air Force and Defense, was established to honor the accomplishments of the country's air force. It is celebrated with official speeches, solemn ceremonies, air shows, exhibitions, “open days” at air bases, and other relevant events and activities.